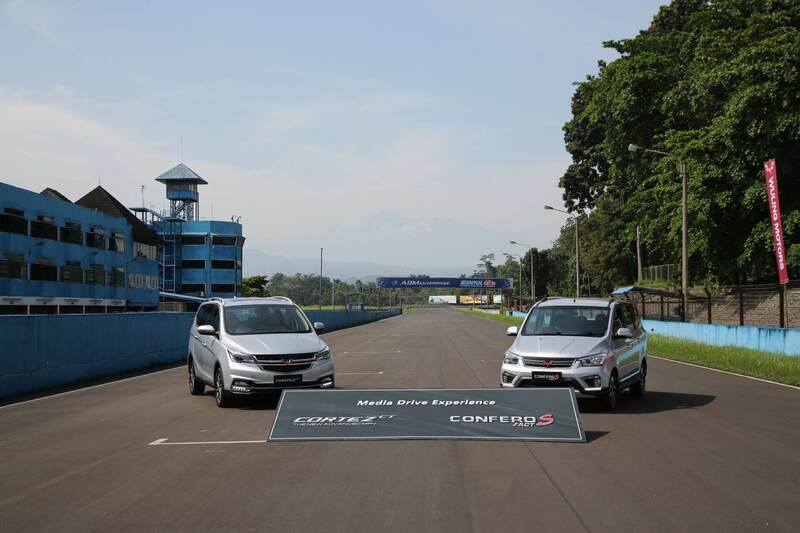 Sentul, 22 April 2019 – Wuling Motors (Wuling) today showcased Cortez CT and Confero S ACT, the latest variants in the MPV segment at the ‘Media Drive Experience’ event at the Sentul International Circuit. The media also had the opportunity to be the first to get a driving experience with Wuling’s latest products. “We introduced Cortez CT and Confero S ACT as the latest variants of our MPV products. Both of these variants strengthened our commitment to continue to grow and deliver products that meet the needs of the people in Indonesia. Supported by the spirit of ‘Drive For A Better Life’, we also want to keep innovating to bring products that support the customers in achieving a better life,” stated Yin Yi as Brand and Marketing Director Wuling Motors. Cortez CT ‘The New Advanced MPV’ is the latest variant of the Cortez series which is equipped with a 1.500cc Turbocharger engine from Honeywell and Continuously Variable Transmission from Bosch. The combination of the two, presents a different driving experience. In addition, Wuling’s Medium MPV also has complete features with modern features added such as One Press Engine Start, Keyless Remote, Keyless Entry, and Emergency Stop Signal (ESS). For the cabin area, Cortez CT still presents a spacious and comfortable space with a 7-seater configuration and new interior with elegant nuance. Furthermore, Confero S ACT ‘The Real Spacious Family MPV’ is equipped with e-Clutch transmission system which is a technology from Schaeffler. The innovation of this transmission makes it easy to shift the gears, without losing the sensation of manually changing gears with gear lever and being efficient in maintenance. Regarding the interior, Confero ACT is given a touch of youthful color by applying Black Ambience With Red Stitches and Red Carbon Style. Then, for the cabin of the Wuling MPV it still offers a spacious cabin until third row and applies several additional features ranging from Electric Adjustable Foldable Mirror, Emergency Stop Signal (ESS) to driver seat height adjuster. For additional information, Wuling provided 3 Cortez CT units and 3 Confero S ACT units in this event. During the test drive in the circuit area, media were invited to feel the sensation of driving Cortez CT by trying acceleration, deceleration, and various other features, such as ESC, AVH, EPB, Rear Parking Camera, and Parking Sensors. Media friends also tried to drive with Confero S ACT in the paddock area by testing acceleration, transmission, handling, and parking and spacious challenges. “With the presence of these two variants, Cortez CT and Confero S ACT, we are optimistic that we can get warm welcome and response from the customers in the country. Please look forward to the launch at the 2019 Telkomsel Indonesia International Motor Show,” added Yin Yi. Bandung, March 11, 2019 – Wuling Almaz’s test drive media activity titled ‘Almaz Smart Journey’ entered the second batch with the route of Bandung – Pangandaran – Tasikmalaya. This time, automotive media had the opportunity to feel the sensation of driving with Smart Technology SUV for 3 days, on March 11-13 2019. As many as 23 journalists with 6 Wuling Almaz units and 1 unit Wuling Mobile Service (WMS) participated in this event. “Continuing the series of test drive media with Almaz, we chose the route of Bandung – Tasikmalaya via Pangandaran in this second phase. We hope this activity provides an opportunity to try as a driver or passenger and experience the Drive Unlimited Way experience and the support of Smart Multimedia 10.4″Touchscreen that has various functions,” explained Dian Asmahani, Brand Manager of Wuling Motors. This trip from Bandung to Tasikmalaya began with a flag off ceremony at the Wuling Arista Bandung Sucidealer located on Jl. PH H Mustafa No. 188, Bandung and reached the finish point in Tasikmalaya. During this route media partners are planned to feel the adventurous challenging routes, visit interesting places and undergo smart challenges with smart multimedia. The 4th product of Wuling whose meaning is taken from Arabic, namely diamond, has been officially introduced nationally on February 27, 2019 with an OTR price of Rp. 318,800,000 for the Jakarta area. Launch in six color choices, namely Pristine White, Dazzling Silver, Aurora Silver, Starry Black, Burgundy Red, and Carnelian Red. In terms of exterior, Almaz carries a parallel dynamic sporty design design, aggressive front grille, LED Projector Lamp, Integrated Future Eyes LED and floating roof design. Turning to the interior, Almaz features a stylish impression presented by the presence of a soft touch panel, leather wrapped and semi leather steering wheel. In terms of performance, Almaz is powered by a 1,500cc capacity 4-cylinder engine with turbo support made by Honeywell, producing maximum power of 140 HP and 250 Nm of torque, which is the largest torque in its class. The transmission of this SUV feels smooth with the use of Continuous Variable Transmission (CVT) from Bosch which offers an 8-speed manual simulated. In addition, Almaz also provides two driving modes, namely Eco (E) and Sport (S). Regarding modern features and technology, Almaz is accommodated by the Infinity system by Harman, the largest panoramic sunroof in its class, start-stop button, keyless remote to keyless entry. Complete safety features are presented in this Wuling’s SUV. Starting from 360 camera, 6 parking sensors, Traction Control System (TCS), Electronic Stability Control (ESC), Electric Parking Brake (EPB), Emergency Stop Signal (ESS), ABS, EBD and BA braking systems and dual front and side airbag. 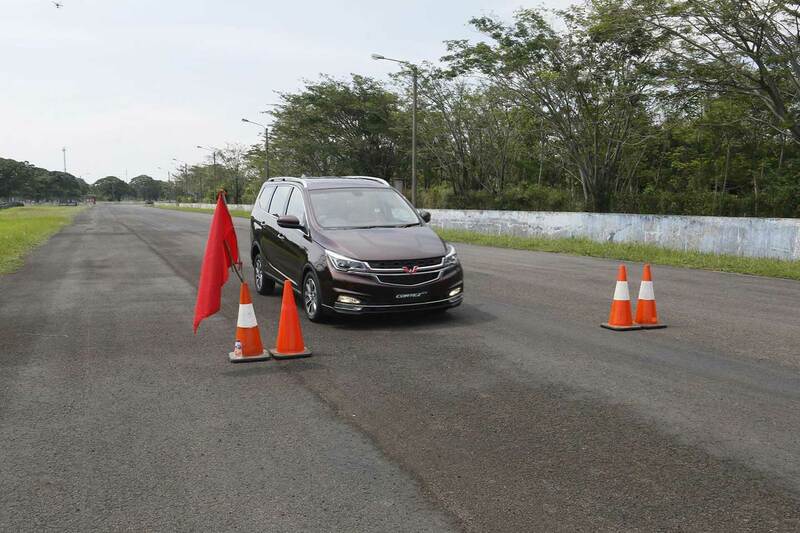 Bandung, March 8, 2019 – Continuing the series of activities of ‘Almaz Smart Journey’ second stage, Wuling Almaz ‘Drive Unlimited Way’ managed to navigate a challenging travel route in West Java as far as 387 kilometers. 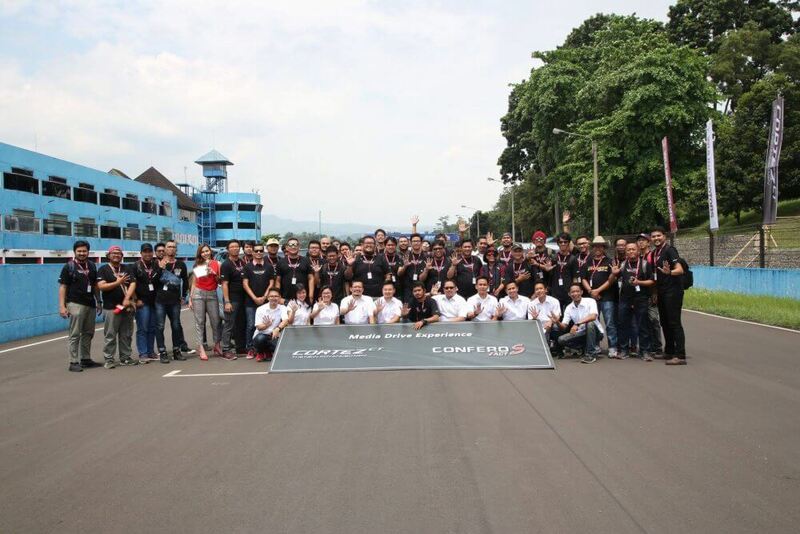 The activity, which was held from 11-13 March 2019, involved 23 automotive journalists and presented a driving experience while traveling with Smart Technology SUV from Wuling. Starting with a flag off procession at Wuling Arista Bandung Suci, a group of journalists began the Bandung – Pangandaran – Tasikmalaya route through the Purbaleunyi toll road. Media partners used Wuling Link, which is included in smart multimedia 10.4″touchscreen as a guide, communication device, and access to entertainment during the trip. The first day passed smoothly through the Nagreg which was quite dense until the winding lane in the Pangandaran area. Support for electronic stability control (ESC) helps the car conquer the winding path. The ABS, EBD, BA braking system also improves vehicle safety when it has to decelerate on sharp turns on this route. After a long journey, the participants finally arrived at Pangandaran coast at night. Then on the second day, the media crew increasingly felt the sensation of adventuring through body rafting activities at HAU Citumang. After lunch, the group tried Almaz along Pangandaran coast to the Tasikmalaya plateau with heavy rain conditions. Passing challenging road and weather contours, toughness performance of Honeywell’s 1,500cc turbocharged engine with 250Nm of torque and a combination of CVT transmission from Bosch with a choice of sport modes to an 8-speed manual become a good combination to conquer this route. Entering the city of Tasikmalaya, travel is a little hampered by heavy traffic. This is not a significant nuisance thanks to the spacious cabin space, the classy audio system from Infinity by Harman and the panoramic sunroof that makes travel not boring. “We hope that this experience can answer the curiosity of performance and the various modern features presented in the Smart Technology SUV through long-distance and challenging trips with Almaz, which of course from the automotive media partners has certainly been awaited. In addition, we also present a different experience by involving Wuling Link who accompanied you during this activity, “said Dian Asmahani, Wuling Motors Brand Manager. Modern features are presented at Wuling Almaz to maximize driving performance, such as Smart Multimedia 10.4 “which provides ease of regulating air conditioning (AC), access to entertainment, and other vehicle settings. The passenger harmony in this SUV is also supported by dual front and side airbags, Traction Control System (TCS), Automatic Vehicle Holding (AVH), Hill Hold Control (HHC) to Emergency Stop Signal (ESS). Surabaya, March 15, 2019 – Wuling Motors (Wuling) has strengthened its commitment to expand its dealer network in Indonesia through the launching of Wuling BLESS Basuki Rahmat Surabaya today (3/15). The official dealer under PT Berkat Langgeng Sukses Sejati applies the integrated service concept 3S (Sales, Aftersales, and Spare parts). This outlet is ready to provide optimal service both in terms of sales and after-sales for Wuling customers in the area. “The launching of the Wuling BLESS Basuki Rahmat Surabaya dealership is an embodiment of the spirit of Drive for A Better Life for the people of Indonesia. We hope that with the existence of these outlets, it will make customers in Surabaya and surrounding areas easierto have or obtain services and Wuling product parts that are needed,” explained Yedi Yunadi Sondy, Sales Operation Director of Wuling Motors. Built on 1,500 square meters of land located on Jalan Basuki Rahmat No. 86, Tegalsari, Wuling BLESS Basuki Rahmat Surabaya provides a 750 square meter showroom or showroom area that can display 6 units of the Wuling’s product line. To add convenience to customers, this outlet provides a variety of facilities from free Wi-Fi connections to children’s playrooms. Regarding the after-sales service, Wuling BLESS Basuki Rahmat Surabaya provides a 400-meter service area with 4 service bay units supported by experienced mechanics, equipped with convenient service waiting rooms and Wuling Mobile Service (WMS) facilities. This outlet operates on Monday to Friday, 08.30-19.00; Saturday, 08.30-15.00; and Sunday, 09.00-15.00. For more information about Basuki Rahmat Surabaya’s Wuling BLESS service, customers can call (031) 5355278 and 0813-1098-5050. “The Launching of Wuling BLESS Basuki Rahmat Surabaya helped reinforce the synergy of Wuling with partner dealers to develop together with one goal which is to provide the best in terms of products and services to customers, especially those domiciled in Surabaya and surrounding areas. That way, customers do not have to worry about having Wuling products anymore, “said Willy Hendrata as Director of PT Thanks to Langgeng Sejati. With the existence of Wuling BLESS Basuki Rahmat Surabaya Wuling’s network is expanding up to five dealers in Surabaya and its surroundings. 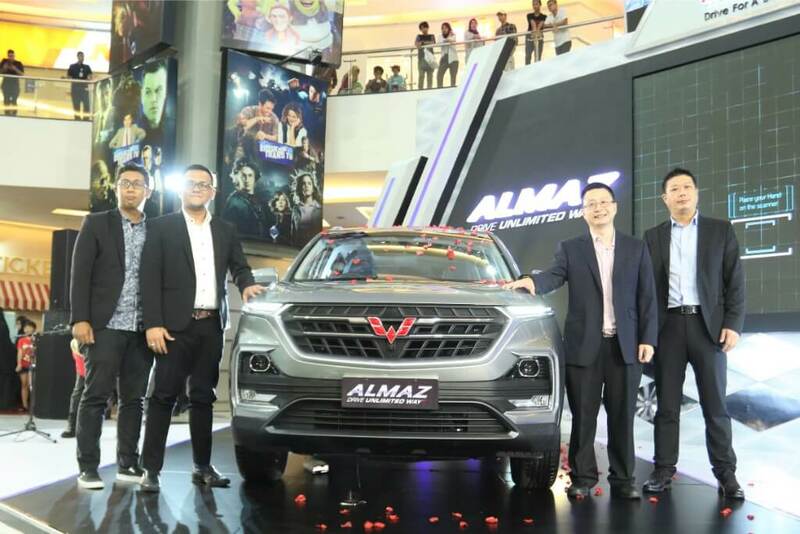 Jakarta, March 6, 2019 – After officially launched in Indonesia on February 27, 2019, Wuling wants to bring a driving experience with Almaz ‘Drive Unlimited Way’. 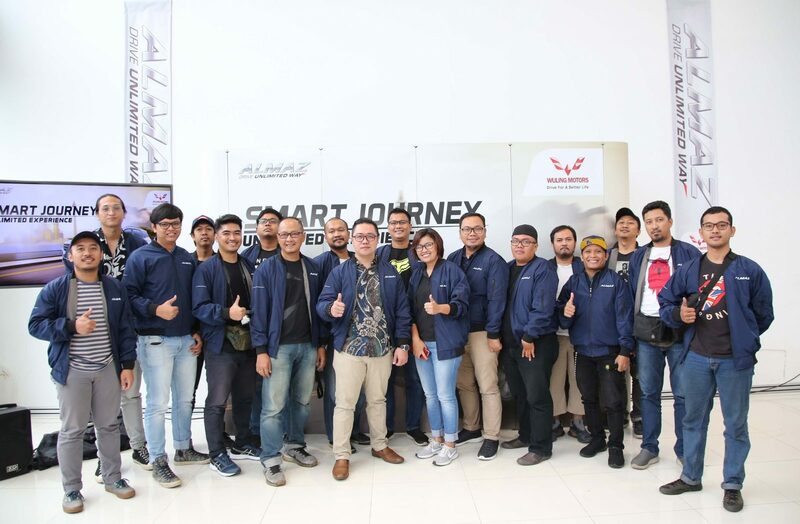 The test drive media activity ‘Almaz Smart Journey’ was divided into three stages and the first stage will be held on March 6-8, 2019, taking the Jakarta route to Bandung via Sukabumi. The event involved 18 national media, 6 units of Wuling Almaz and 1 unit of Wuling Mobile Service (WMS). “Almaz Smart Journey means to bring the sensation of unlimited driving with our first SUV. In addition to trying Almaz’s performance, we combine Smart Multimedia 10.4″ Touchscreen as a travel support. With that, fellow journalists can feel as a driver and passenger of this Smart Technology SUV,” explained Dian Asmahani as the Brand Manager of Wuling Motors. 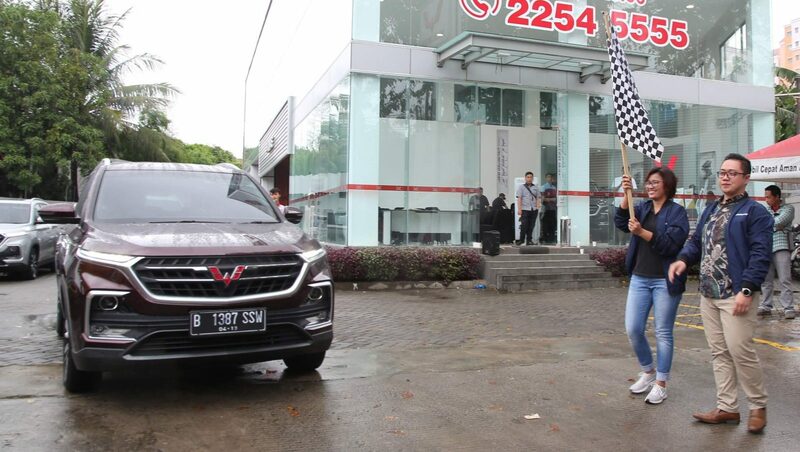 The flag off procession at Wuling Arista Cengkareng dealership starts from Jakarta – Sukabumi – Bandung, which will last for 3 days. Along the route in this phase, media colleagues will visit various locations that offer natural beauty and are presented with various activities that add to the excitement of exploring with Wuling Almaz. The fourth product from Wuling is equipped with a 1500 cc turbocharged engine from Honeywell, which can produce a maximum power of 140 HP and the largest torque in its class, which is 250 Nm. With a front wheel drive configuration, performance is distributed to the front wheels through the 8-speed simulated CVT from Bosch, resulting in smooth and responsive transmission and two driving modes, Eco (S) and Sport (S). Almaz, which means “diamond” in Arabic, carries a philosophy of style, tough and precious. The car is also supported by a variety of excellent features such as Smart Multimedia 10.4″ touchscreen, which serves to regulate air conditioning as well as various vehicle settings, access to entertainment, and Wuling Link. Then, complete safety features such as 360o camera, 6 parking sensors, front and side airbags, ABS braking system, EBD, BA, Auto Vehicle Holding (AVH), Electric Parking Brake (EPB), Emergency Stop Signal (ESS), Traction Control System (TCS), Electronic Stability Control (ESC), to Hill Hold Control (HHC). Driving with Almaz is also more comfortable with the spacious cabin and luggage, ergonomic semi-leather seats, soft-touch panels in several areas, AC that reaches the second row, to the widest Panoramic Sunroof presence in its class. The premium audio system produced by Infinity by Harman further maximizes the atmosphere throughout the trip with Almaz. Wuling Almaz is officially marketed in Indonesia at a price of Rp 318,800,000 on the road in Jakarta. This Smart Technology SUV comes in six color choices, namely Aurora Silver, Burgundy Red, Starry Black, Dazzling Silver, Carnelian Red and Pristine White. 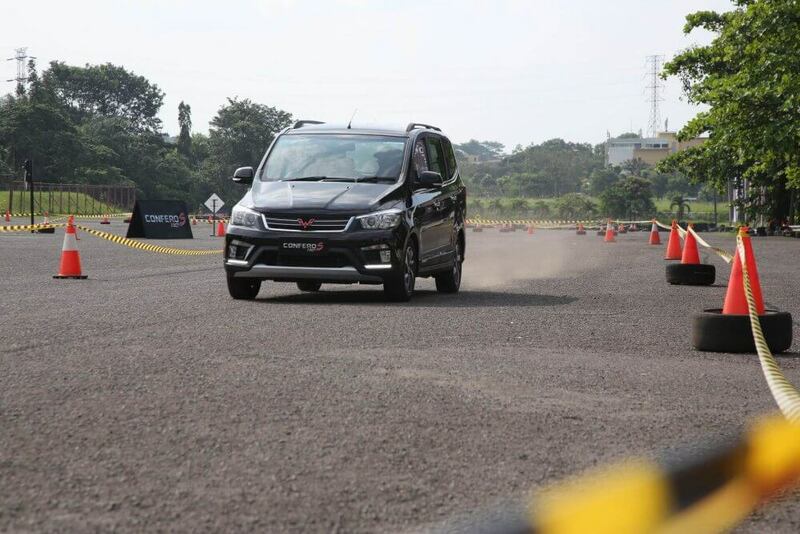 Bandung, March 8, 2019 – As a series of test drive activities “Almaz Smart Journey”, as many as 18 national media with 6 units of Wuling Almaz have successfully completed their first batch. 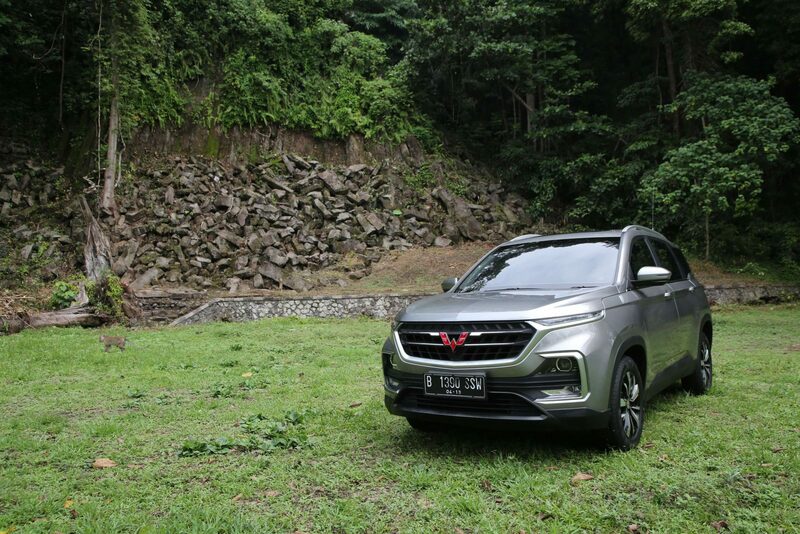 The record of the mileage achieved by this Smart Technology SUV starts from the starting point in Wuling Arista Cengkareng to reach the finish line in the city of Bandung is 426 kilometers. On the first day taking the route of Jakarta – Sukabumi, the media group was accompanied by rainy weather on the JORR toll road, Jagorawi to Sukabumi area. As a supporting feature during the trip, Smart Multimedia 10.4″ Touchscreen is used by participants as a guide for direction, communication, and music entertainment presented in Wuling Link. Approaching the Ciletuh White Sand Beach Geopark area, weather conditions began to improve and media partners were presented with interesting sights. The combination of the beauty of hilly areas and the sea which is often called ‘Hidden Paradise’ in West Java also makes media partners encouraged to capture the moment with Almaz and enjoy the atmosphere through an extensive panoramic sunroof measuring 0.82 square meters. Behind the scenery, Almaz’s competency which is equipped with a powerful 1.5 L turbocharged engine and Continuosly Variable Transmission alloy was truly tested in this area. The contour of the road is a combination of climbs, derivatives and bends were the challenges from Ciletuh to Palabuhanratu and all Almaz units used by media partners made through it. The next day, the group traveled to Bandung. The traffic congestion that occurs along Padalarang did not bother them due to the presence of Hill Hold Control (HHC) and Automatic Vehicle Holding (AVH) which made it easier for the driver to face the ‘stop and go’ situation. Entering Pasteur Toll, fellow media partners again tried to accelerate and tried the cruise control which was activated on the left side of the Almaz steering wheel. “We hope that through this event we will be able to answer the curiosity of the various leading features that WulingAlmaz has and the sensation of driving long distances that have been awaited by national media colleagues. With the varied road conditions and competencies possessed by Almaz, this SUV is proven to be able to cross challenging routes without experiencing obstacles. Not only that, trying the facilities of Smart Multimedia 10.4″ Touchscreen during this trip made it a different experience,” said Dian Asmahani, Brand Manager of Wuling Motors. Besides the features mentioned above, the 4th Wuling product is also equipped with one push engine, keyless entry, 2 power outlets and an electric seat adjuster. In order to maintain safe driving, Almaz is equipped with a 360o camera, 6 parking sensors, Traction Control System (TCS), Electronic Stability Control (ESC), Electric Parking Brake (EPB), Emergency Stop Signal (ESS), ABS braking system, EBD, BA, up to dual front and side airbags. 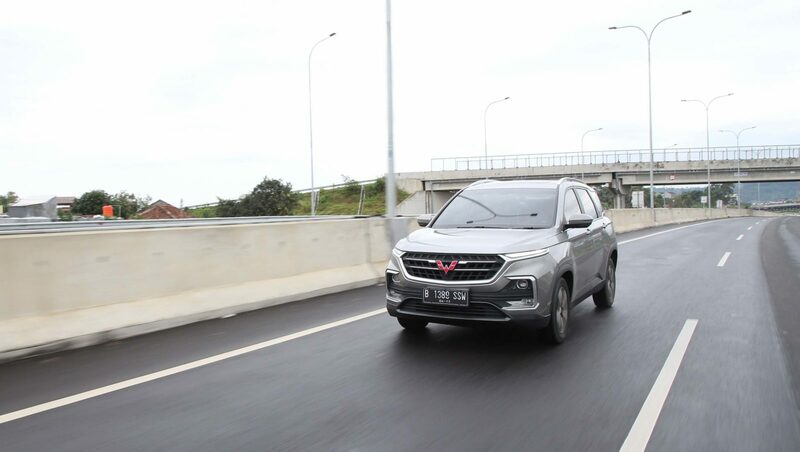 Makassar, March 7th 2019 – Wuling Motors (Wuling) resumes Almaz launching activities in various cities and this time visited Makassar. 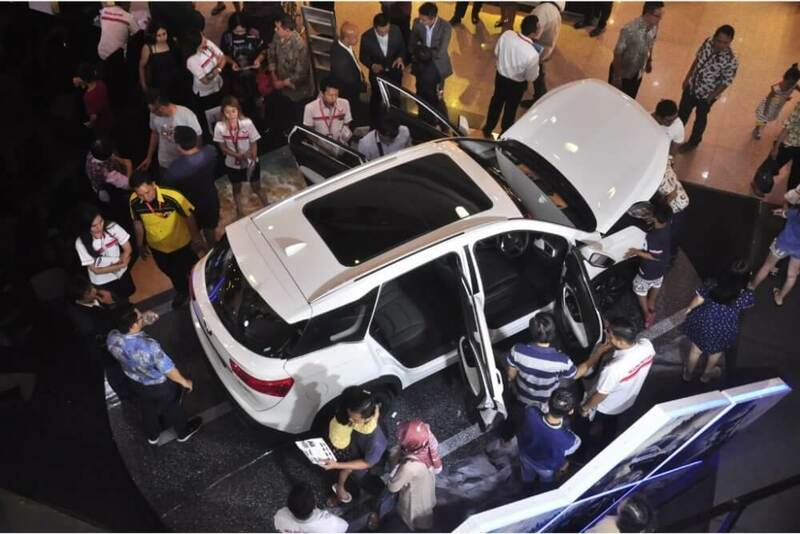 Together with partners at PT Kumala Cemerlang Abadi, Wuling introduced his first SUV model, Almaz, at Trans Studio Mall Makassar. The Wuling product line that carries the tagline ‘Drive Unlimited Way’ is marketed at Makassar on the road prices and around Rp 335.800.000. In addition to launching the latest product, Wuling also held a test drive for visitors until March 10, 2019. 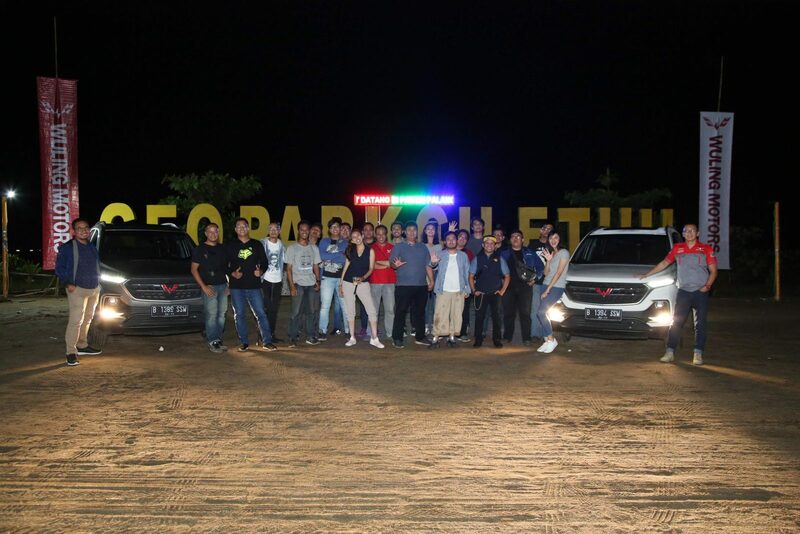 “Makassar is one of the main automotive markets outside Java. Therefore, we introduce Almaz in this region as the fourth product of Wuling produced in less than two years in Indonesia. Integrating Smart Multimedia and modern technology, we hope Almaz can present the sensation of ‘Drive Unlimited Way’ for consumers,” said Zia Ul Rahman as Regional Sales Manager Area Sulawesi Wuling Motors. Regarding appearance, Almaz is supported by stunning exterior design with Future Eyes LED that gives rise to a dashing and sporty impression. Overall, this SUV applies dynamic parallel design and the nuance of floating roof on the side. Inside, the space is reliably decorated with soft touch panels, leather material on the steering wheel, and semi leather upholstery adds a modern impression to this car. Almaz color choices consist of Pristine White, Dazzling Silver, Aurora Silver, Starry Black, Burgundy Red, and Carnelian Red. In terms of performance, Almaz is supported by a powerful 1,500cc 4-cylinder engine with turbo support made by Honeywell, producing maximum power of 140 HP and 250 Nm of torque, the largest torque figure in its class. The transmission of this SUV feels smooth with the use of Continuous Variable Transmission 8-speed simulated from Bosch. In addition, Almaz also provides two driving modes, namely Eco (E) and Sport (S). Smart Multimedia 10.4″touchscreen which is the main feature of Wuling’s first SUV is equipped with Wuling Link access, Tire Pressure Monitoring System (TPMS), various vehicle functions and air conditioning arrangements, as well as various entertainment facilities for users supported by classy audio devices from Infinity by Harman. In addition, Almaz is also accommodated with the widest panoramic sunroof in its class, one push engine and keyless entry. Various modern safety features are also available to users such as 360 o cameras, 6 parking sensors, ABS, EBD, BA, Traction Control System (TCS), Electronic Stability Control (HHC), Auto Vehicle Holding (AVH), Electric Parking Brake (EPB), Emergency Stop Signal (ESS), and front and side airbags. Almaz is also supported by excellent after-sales services, namely a 3-year or 100,000-kilometer general warranty, a major engine warranty and transmission for 5 years or 100,000 kilometers, free periodic service fees up to 50,000 kilometers or 4 years with terms and conditions in effect. For information, Wuling now has two dealer networks in Makassar, namely Wuling Kumala Pettarani and Wuling Kumala TSM Makassar. 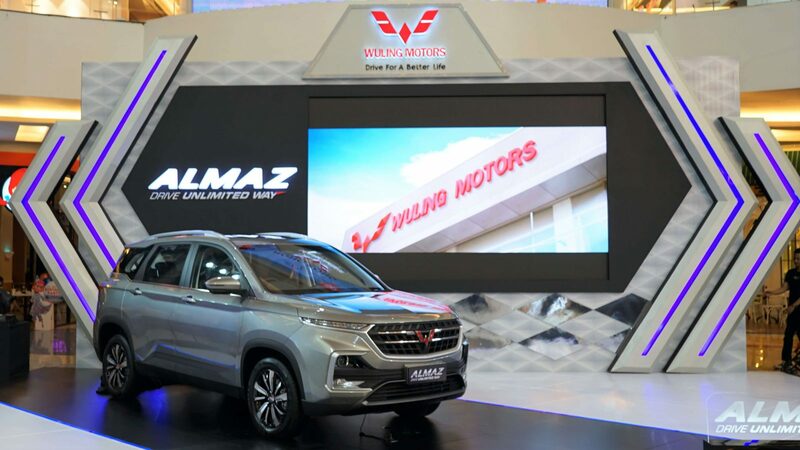 Semarang, March 7th2019 – Wuling Motors (Wuling) closes the Almaz launch series in various cities in Indonesia today. 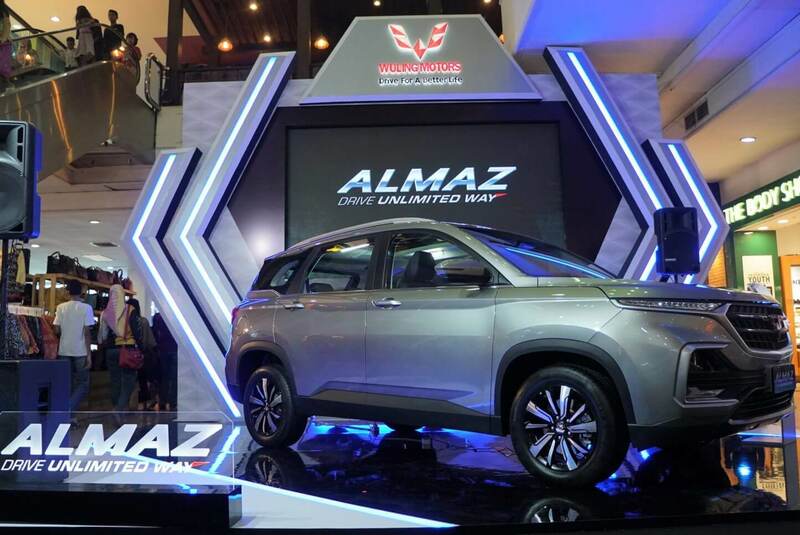 Semarang becomes the last city in the launching series of its first SUV, Almaz, outside Jakarta. In collaboration with PT Automobil Jaya Mandiri, Wuling officially presents the Smart Technology concept SUV at Java Mall. Defined from Arabic as ‘diamond’, Almaz is marketed with on-the-road price of Rp 327.800.000in Semarang and surrounding areas. “Central Java is one of the potential areas for Wuling on Java. Therefore, we present Wuling Almaz, which marks a new beginning for SUV products in Indonesia for consumers in Central Java. This fourth product of Wuling carries smart technology that is expected to provide the experience of ‘Drive Unlimited Way’ for the consumers,” said Sulistyo Nugroho as Sales Manager for Central Java Area Wuling Motors. Almaz comes with a 1,500cc inline 4 cylinder engine powered by a turbocharger from Honeywell, producing maximum power of 140 HP and 250 Nm of torque, which is the highest torque in its class. These competencies are distributed through 8-speed Continuous Variable Transmission from Bosch which results in smooth and responsive transmission. Not only that, this SUV is equipped with two driving modes, namely Eco (E) and Sport (S). The superior feature of Wuling’s first SUV is the Smart Multimedia 10.4 “touchscreen which is supported by a variety of connectivity, Wuling Link, Tire Pressure Monitoring System (TPMS), various vehicle and air conditioning functions, and entertainment features for users. Infinity by Harman audio device is also present to deliver classy audio quality in the cabin. Almaz also looks more modern with the largest panoramic sunroof in its class, one push engine, and keyless entry. To ensure safe driving, Almaz is equipped with a 360o camera, 6 parking sensors, Traction Control System (TCS), Electronic Stability Control (ESC), Hill Hold Control (HHC), Auto Vehicle Holding (AVH), Electric Parking Brake (EPB), Emergency Stop Signal (ESS), ABS, EBD, BAbraking system, and front and side airbags. In terms of appearance, the dashing and sporty impression are appeared on Almaz which bears stunning exterior design by applying future eyesLED, dynamic parallel design and floating roof. Regarding the interior, Almaz also has a modern space with soft touch panels, leather wrapped steering wheel, and semi-leather seats. Regarding color options, Almaz comes with 6 options: Pristine White, Dazzling Silver, Aurora Silver, Starry Black, Burgundy Red, and Carnelian Red. Almaz also gets same after-sales service like all other Wuling product lines, consisting of a general vehicle warranty of 3 years or 100,000 kilometers, warranty of the main engine components and transmission for 5 years or 100,000 kilometers, free of charge periodic service services up to 50,000 kilometers or 4 year with terms and conditions apply. In addition to the launch of Almaz, customers can also try this SUV and other line products of Wuling in an exhibition that takes place on March 7-11 2019 at Java Mall. For information, Wuling now has three dealer networks in Semarang, namely Wuling AJM Semarang Raden Patah, Wuling AJM Semarang Sudirman, and Wuling AJM Semarang Srondol.